Thermogroup has launched the UK's first dual control electric underfloor heating thermostat that can control your underfloor heating and an additional appliance; the Thermotouch 4.3dC. 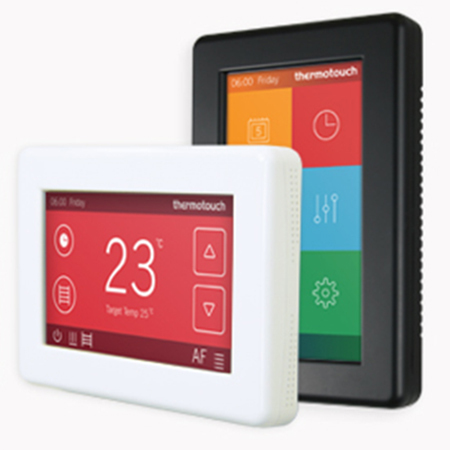 The unique Dual Control Thermotouch thermostat includes two relays that can be independently controlled providing the ideal solution for your underfloor heating and an additional appliance such as a towel rail or heated mirror. Thermotouch 4.3dC is compatible with the most popular floor sensor probes on the market making it suitable to upgrade your current thermostat. 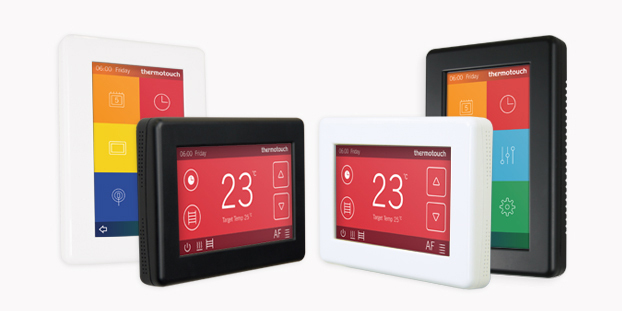 Thermotouch 4.3dC is available in two colours; Ice white and Satin black and has 8 display colour options. The 4.3dC can be used in landscape or portrait mode allowing you to personalise your thermostat to suit your home.